One of the most studied fields of acupuncture is in its relationship with pain. Acupuncture works in a variety of ways to ease pain. It releases endorphins which are our bodies’ natural painkilling chemicals. Acupuncture also acts on serotonin levels and it has been shown that opioid peptides are released during acupuncture as well. Acupuncture reduces inflammation and increases blood flow and circulation providing drug-free pain relief. Our medicine treats a wide variety of both acute and chronic issues. In acute cases, we can often help the pain subside completely whereas in cases of chronic pain, acupuncture can be a very helpful tool to manage pain safely on a long-term basis with little to no side effects. We treat sports-related injuries and pain using acupuncture, cupping, Gua Sha, electric stimulation, and massage. Herbal formulas can also be used to regenerate damaged tissue and herbal adhesive patches help to ease pain. Trigger point therapy is a technique used to relieve localized muscle tension and spasming by placing the needle into the affected tissue and stimulating the point until the spasm releases. 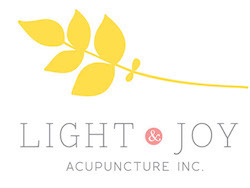 Acupuncture needles can also be placed at motor points, points of muscle innervation and at attachments of tendon to bone, increasing blood flow and flushing out injured muscles and joints. Acupuncture is a highly effective tool for athletes as a preventative measure to achieve optimal performance without injury by encouraging blood flow and revitalizing tissues. As an overall immunity boost, acupuncture can help you maintain good health as you train to achieve your athletic goals. We work with athletes before and after important events such as races, marathons to prevent injury and speed up recovery. We incorporate cupping, massage and acupuncture to optimize result.